from Portland based company, Pigeon Toe Ceramics. Oh, do love these. I could see pussywillow in that 2nd one, too. clean, simple ceramics with a twist. love it. 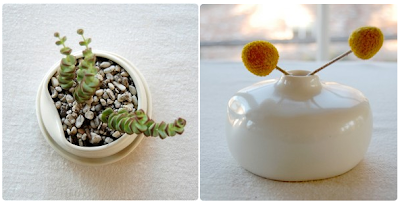 i love the first picture – i LOVE succulents!